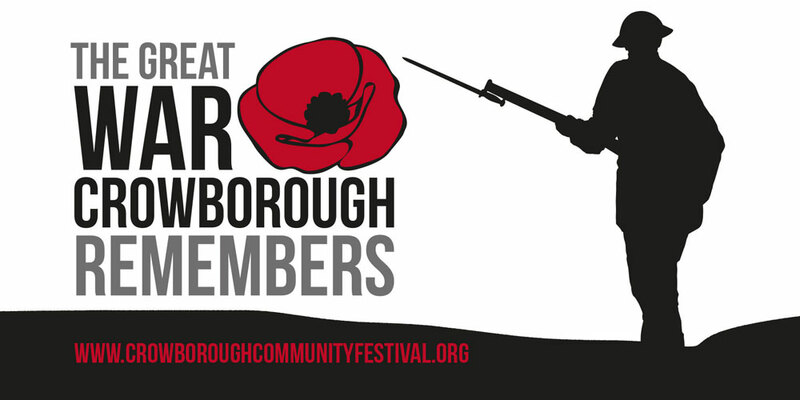 This year marks the centenary of end of the First World War and the Crowborough Community Festival will be commemorating this moment in history with a week-long programme of events called Crowborough Remembers in October. A major exhibition called Crowborough’s War 1914-1918 will be held at the Beacon Academy from Monday 22nd until Thursday 25th October. The exhibition will tell the story of the town and the thousands of soldiers who were based in the army training camps before being deployed to the front line. The students will create a striking poppy installation to be displayed as part of the exhibition in Beeches Main Hall. Years 7, 8 and 9 will decorate a unique laser-cut poppy during Art and Technology lessons at the beginning of the academic year. We are calling on residents who may have ancestors who fought in WW1 to share their stories or memorabilia with us as part of the exhibition. There are many local people who may have family connections or relatives who died fighting or survived and came home to live out their lives, and we’d like to hear from them. The festival programme will start on Saturday 20th October with a commemorative Choral Concert held in the Main Hall. The concert programme of Pergolesi Stabat Mater and the Fauré Requiem will also feature an original score This Human Shield, specially written for the occasion by local composer Simon Austin, and poet and writer Nick Nye. This will be a very special evening, and we are delighted to be working in collaboration with the Crowborough Choral Society to bring this unique event to the town. As the festival takes place during half term week we will have lots of fun as well as educational activities for young people, including creative workshops called People, Poppies and Poems as well as a ‘Secret Stones Trail’ with a painted poppy for each of the 150 names commemorated on Crowborough’s War Memorial. This is such an important Centenary in world history and Crowborough should remember the part it played. I’d like to thank the British Legion, Beacon Academy, Crowborough Historical Society, Wealden WW1 Project and all the volunteers who are supporting this unique event. More information about the festival programme can be found on www.crowboroughcommunityfestival.org.